We’re especially proud of our stained glass windows. If you’re a history buff or simply an art aficionado, you will also appreciate their splendor. At Holy Trinity, we strive to provide a welcoming space for worship, education and fellowship. Stylistically, we strive to provide a diverse worship experiences including both traditional and progressive elements. Cross Island Parkway south to Exit 28B (Hillside Avenue) Left onto Hillside Avenue then Right onto Commonwealth Blvd. Our church building is on left-hand side of Commonwealth. Cross Island Parkway north to Exit 28B (Hillside Avenue). Right onto Hillside Avenue then Right onto Commonwealth Blvd. Our church building is on left-hand side of Commonwealth. Centrally located on Commonwealth Blvd, between Jericho Tpke. and Hillside Ave. We are right off the Cross Island Parkway. Plenty of street parking. You can also reach us by bus or LIRR. Whatever way you do, you’ll be greeted warmly by a loving church and will immediately feel like part of the family. NEED TO CONTACT US? CLICK! A servant-leader focuses primarily on the growth and well-being of people and the communities to which they belong. While traditional leadership generally involves the accumulation & exercise of power by one at the “top of the pyramid.” Servant-leadership is different. The servant-leader shares power, puts the needs of others first and helps people develop and perform as highly as possible. We believe that Jesus of Nazareth was the full embodiment of what it means to be a servant-leader. At Holy Trinity, we live out these values not only in the way we interact with each other, but also by what we do. After all, this is where the rubber hits the road and we can make a difference in the surrounding community. When you visit, you can expect Pastor Rebecca and the entire congregation to embrace you. We have opportunities for Bible study, community service, support and plenty of time for social interactions with others. What’s more, you’ll feel you’re making a difference in the world. Visit our outreach, education, and community groups pages to see where God is calling you to fit in. Better yet . . . want something you don’t see? Start a group and gather—Holy Trinity is always open to grow and change! Click here for a full listing of Holy Trinity’s guiding leadership. We’re always welcoming new leaders to share your vision with us! Rev. Rebecca Pollicino has been our Temporary Shepherd for the past two years. She will guide us through our transition and ensure we are prepared to call our next pastor. Pastor Rebecca graduated from General Theological Seminary in Manhattan and fulfilled her Lutheran year at Lutheran Theological Seminary at Philadelphia. Before seminary she completed the MNYS Diakonia program and is currently serving as both an instructor and the Executive Director of the Diakonia Steering Committee. She has her certification in Interim Ministry. 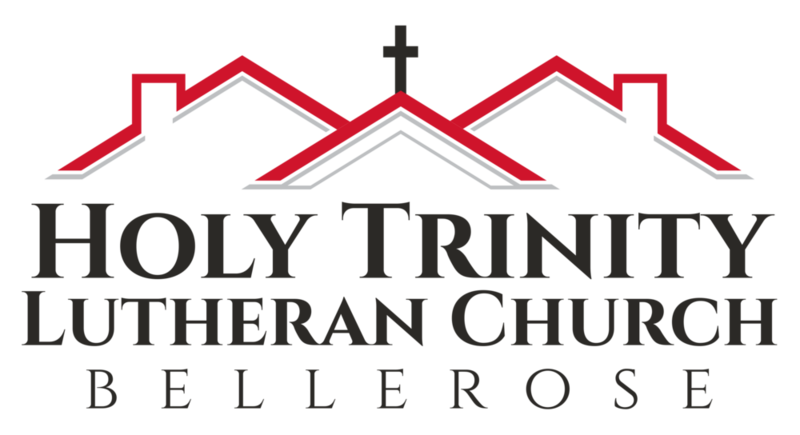 Holy Trinity immediately felt like family when we were looking for a church. Being new to the area we checked several churches but felt so comfortable at Holy Trinity we decided to make it home. I think God took me by the hand and led me here. Initially I was looking for a faith based community for me and my children that focused on outreach. Did I hit the jackpot! Holy Trinity has fulfilled all my expectations of what a Church should be and more! My children and I participate in so many ways to serve our neighbors near and far! My faith has grown beyond measure through the various Christian educational resources offered. Join us after bible study for a brief service, followed by a soup lunch. Our theme this year is “Open my Life, Lord”. Meet us on the front steps of the church as we wave our palm branches in celebration of Jesus’ triumphant arrival in Jerusalem. Once inside we read the Passion from the Gospel of Luke in dramatic fashion. Join us for brunch following both the 9 am & 10:30 am services in our Fellowship Hall. This is event is free, join us for a delicious brunch as we start Holy Week. Click on featured events link for more information. We gather around a table and share a meal as we mark the night that Jesus shared his last supper with his disciples. A light dinner of soup, bread and fruit will be served in the midst of our service. Good Friday Services, April 19th at 12 pm and 8 pm. Noon Service is a simple and solemn prayer service featuring the reading of the Passion from the Gospel of John. Join us as we follow the Stations of the Cross in scripture and song as we transition from light to darkness. Celebrate the Resurrection of our Lord as we bring back the Alleluias! and Wednesdays at 10 am April 3, 10, 24. Holy Trinity prides itself on our hospitality, Almost every time our doors are open there is a pot of coffee, a piece of cake and someone willing to join in conversation. Please take a look at our calendar for any special events coming up this month. All events are open to the public, check out individual events for any special details.